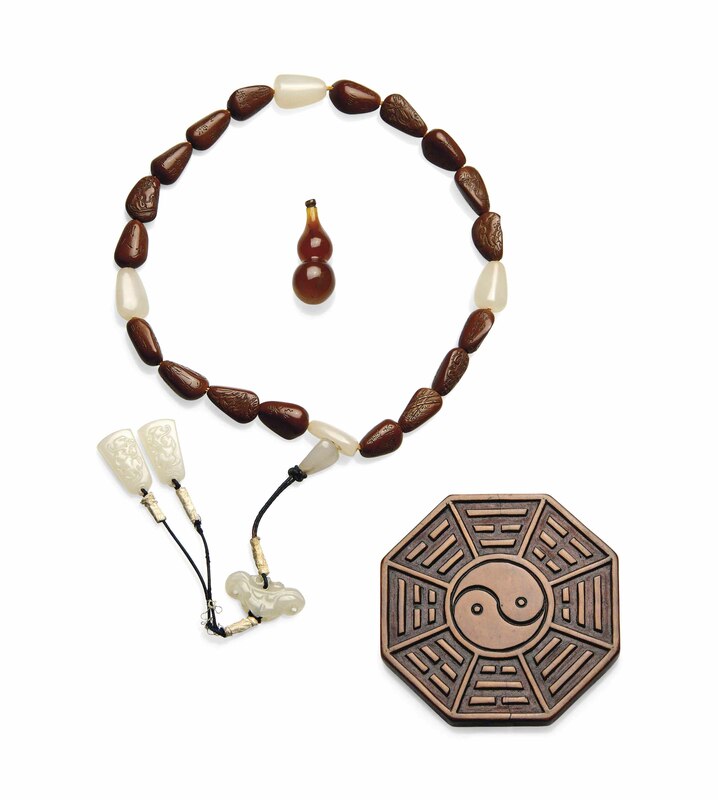 The necklace comprises eight carved white jade beads and eighteen carved nut beads. The double gourd pendant is of a caramel tone. The tasselled pendant is carved as a Buddhist trigram with a yin-yang symbol.